A deep red, dried fruit about the same size as a raisin with a sweet taste. Keep in a cool dry place out of direct sunlight. Once opened, store in an airtight container. May contain traces of nuts. Contains preservative Sulphur Dioxide. 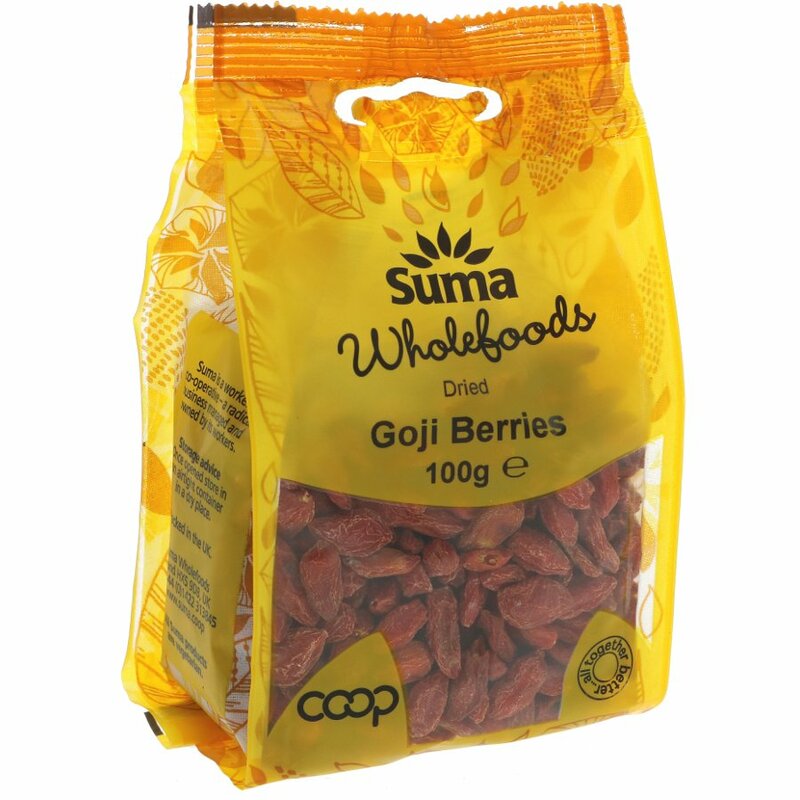 The Suma Prepacks Goji Berries 100g product ethics are indicated below. To learn more about these product ethics and to see related products, follow the links below. 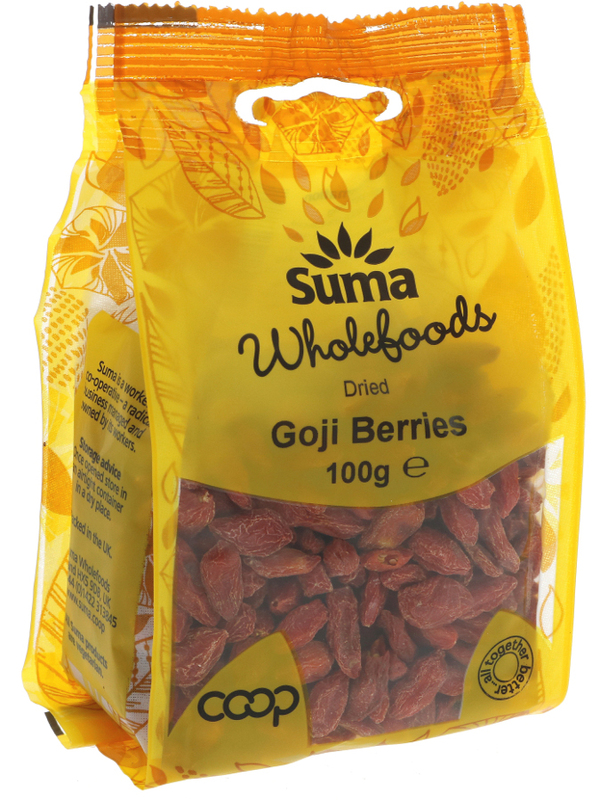 There are currently no questions to display about Suma Prepacks Goji Berries 100g.